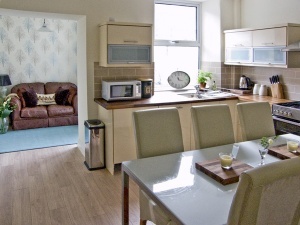 "Luxury 5 Ticks Rated Cottage"
A fully renovated Edwardian Town House set in a quiet area. Just a two-minute walk from Windermere Village with its quaint Shops, Restaurants and Bars. 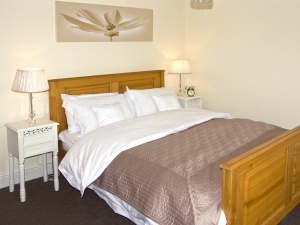 The location is ideal just one mile from Lake Windermere. With a cinema and the Beatrix Potter Exhibition all nearby. Bowness, Coniston Water, Kendal, and the Furness Peninsula are all within easy reach. This Windermere cottage is a superb year-round base. Three bedrooms: 1 king size double, 1 2nd floor king-size double, 1 2nd floor twin. Bathroom with bath, twin basins, WC. Shower room with shower, basin, WC. Playstation 3, table football & piano keyboard. 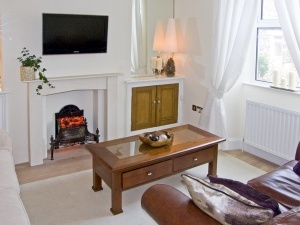 Full gas central heating, electric fire in sitting room. Microwave, fridge, freezer & dishwasher. Tumble dryer & washing machine in utility. 32” flat screen TV with Free-view in all Bedrooms. Fuel & power inc. in rent.